The Thai currency is near 28-month highs, buoyed by a growing current-account surplus, a weak dollar and attractive yields. But Thailand’s military rulers are doing little to improve the real economy. Asia’s best-performing currency could fall foul of economic gravity. Thailand’s military has staged 12 coups since the end of direct rule by kings in 1932, the latest on May 22, 2014. The economy’s better-than-expected 3.7 percent growth in the second quarter from a year earlier lagged China’s 6.9 percent, the Philippines’ 6.5 percent and Indonesia’s 5.0 percent. 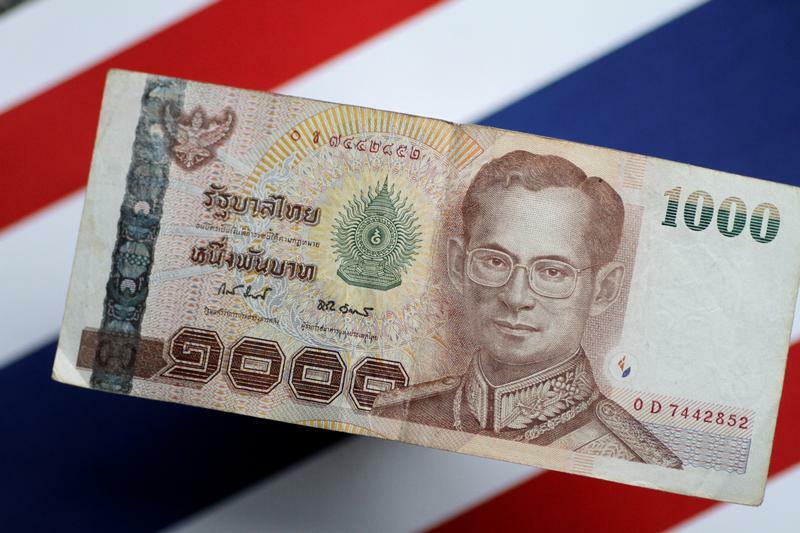 On Aug. 21, the Bank of Thailand asked commercial banks for data on an “unusually high volume of transfers between non-resident baht accounts which may relate to baht speculation” and warned it might “consider additional measures to limit the opportunity” to drive the currency higher.